When it comes to vitamins for skin it is hard to fit all the nutrients we need for healthy skin in our diet. Below is a list of vitamins that are highly beneficial to your skin's health. Of course it is best to get as many of these vitamins as possible from your diet, so do the best you can and hopefully this information will help you improve your nutrition and in turn your skin's natural beauty! This is just a guideline to let you know which vitamins are good for skin. It is not a recommendation for a full multi-vitamin, so take all your other bodies needs in to account when getting vitamin supplements. Everybody's diet is going to be different so it is up to you to figure out what, if any, nutrients your body may be lacking. My suggestion is to talk to your pharmacist or someone from your local health food store. They are much better suited to recommend what vitamins to get for your own individual needs. Tell who ever you are talking to that you are looking for a good natural skin supplement.Of course when purchasing your vitamins for skin be sure they are all natural or organic. Vitamin A (retinol) is extremely important to your skin's health. It is responsible and necessary for maintenance and cell repair. It also plays an important role in our skin's normal growth function and protection. If your body is lacking in Vitamin A it usually results in dry flaky skin. Topical Vitamin A is most beneficial for acne and wrinkles. Vitamin E is a powerful antioxidant and help reduces the effects of the sun. It helps reduce the production of cancer causing cells and helps reduce wrinkles. It also helps stabilize the immune system. Vitamin E slows the aging of skin cells, is needed for cell replacement and gives skin a mooth look and feel. Topically Vitamin E is used to soothe dry rough skin. Vitamin C (ascorbic acid) protects cells from damage caused by free radicals. It helps to maintain collagen and promotes healing. When it is combined with Vitamin E it protects against sun exposure. Topical Vitamin C encourages collagen production. B Vitamins B Vitamins are necessary for maintaining normal skin functions and they form the base for our hair, skin and nails. Without adequate amounts skin can become itchy, dry and scaly. 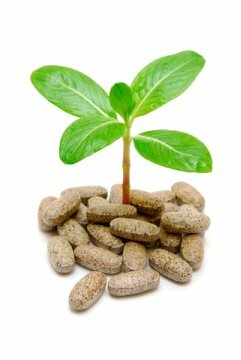 B vitamins also stimulate cell growth. Vitamin B2 (riboflavin) is important for the growth of new skin cells. Vitamin B3 (niacin) is essential to the health of oil producing glands. Vitamin B6 (pyridoxine) is beneficial for preventing skin conditions. Vitamin B7 (biotin) forms the base of our skin, hair and nails. It is effective in fighting against skin diseases and is probably the most important B Vitamin. Vitamin B9 (folic acid) is essential to the growth and health of cells. The following minerals are also worthy of mention and are just as important to your skin's health. Selenium can help protect skin from the sun and is also known for lowering your chances of skin cancer. Selenium is found in whole grains. Zinc is very important, especially to anyone that suffers from acne. It aids in proper functioning of the immune system and can help slow oil production. It also helps maintain collagen and elastin, keeping skin firm. To find out recommended doses of these vitamins and minerals ask your pharmacist or health food store provider.